You are at:Home»Herbs»Lawsonia inermis Linn. Latin name : Lawsonia inermis Linn. Hina is essential cosmetic item and popular in women. It is important substance in aromatic essence. Hina is applied on nails and palms. 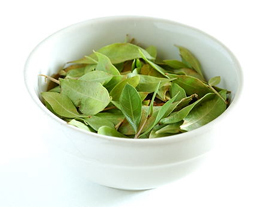 The Hina leaves are cool, tonic value, used in impurity of blood and for reducing swelling. Hina is a flowering plant with the botanical name lawsonia inermis. Hennais mostly used as a coloring agent. It is mixed with other natural dyes. Its flower oil is used in perfume. Boosts hair growth: Henna helps in the cure of hair loss. Hina flowers are useful in pain. A paste of Hina leaves gives soles relieve. Hina flower helpful in headaches. Prepare paste of henna flower & vinegar, apply this paste on head. Useful for burns caused by fire. The leaves ground with water are applied over the affected area. Hina leaves Beneficial for mouth ulcers and blisters in the mouth. Also useful in headache, burns, burning of feet, wounds, ulcers and enlargement of spleen and liver. The leaves can be used for jaundice and psoriasis. Recommended Dosage : 3 to 5 powder of dried leaves.